You are at:Home»Church Street»Saint of the Day»St. Jerome, Doctor. 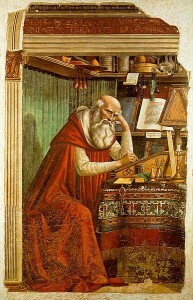 ST. JEROME, born in Dalmatia, in 329, was sent to school at Rome. His boyhood was not free from fault. His thirst for knowledge was excessive, and his love of books a passion. He had studied under the best masters, visited foreign cities, and devoted himself to the pursuit of science. But Christ had need of his strong will and active intellect for the service of His Church. St. Jerome felt and obeyed the call, made a vow of celibacy, fled from Rome to the wild Syrian desert, and there for four years learnt in solitude, penance, and prayer a new lesson of divine wisdom. This was his novitiate. The Pope soon summoned him to Rome, and there put upon the now famous Hebrew scholar the task of revising the Latin Bible. Known as the Vulgate, it was to be his noblest work. Retiring thence to his beloved Bethlehem, the eloquent hermit poured forth from his solitary cell for thirty years a stream of luminous writings upon the Christian world. 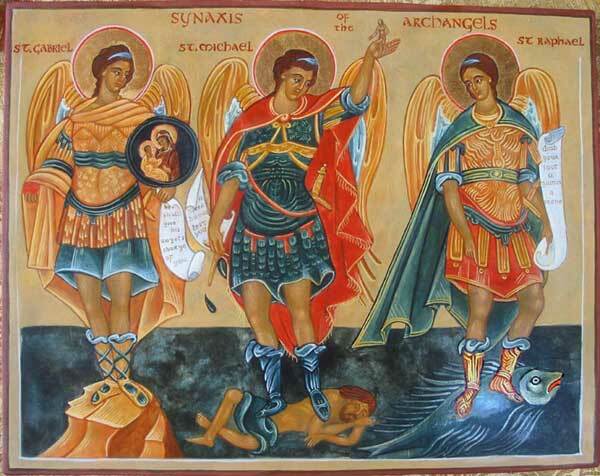 Next Article Does Quantum Mechanics Provide an Analogy for the Trinity?